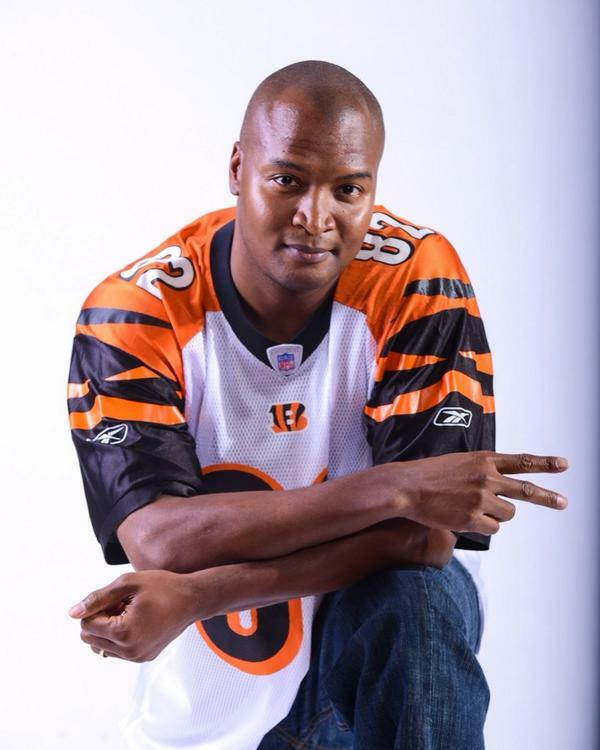 Reggie’s NFL peers were definitely inspirational in the birth of KYVAN® Foods because their expressions reminded him that people have always enjoyed good food, especially the kind that touches the soul! And since people from all walks of life really enjoy Down South cooking, Reggie thought, why not bring a piece of the south to their homes, compliments of his family. So Reggie gathered his family secret recipes, pitched the idea to retailers in 2011, and now we have before our eyes KYVAN® Foods. 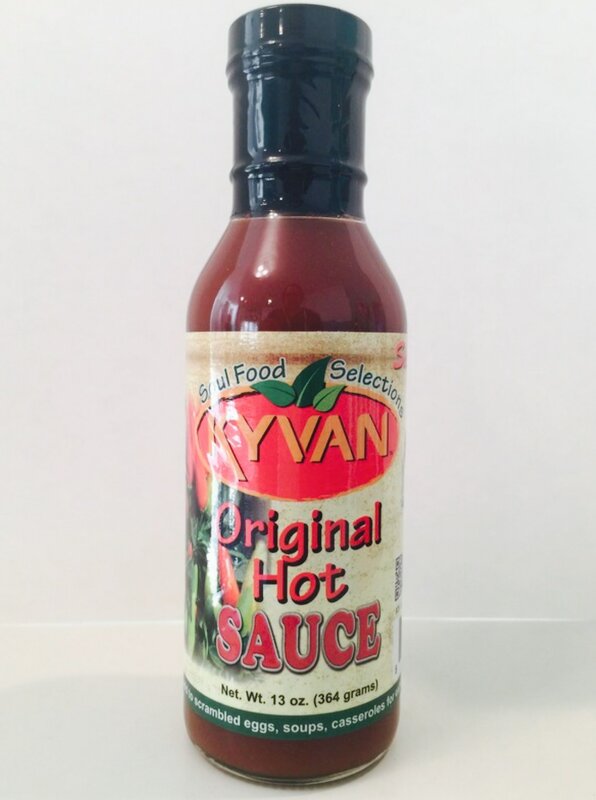 KYVAN® Foods is a supplier to great customers like Kroger, Walmart, Sam’s Club, Firehouse Subs, Sysco, Performance Foodservice, Hot Shots Distributing and can also be found on walmart.com. As stated by Reggie, “It’s my goal to pass down to my kids (Kyla & Kavan) and to everyone the gift passed down to me… An Appreciation Of Good Food.” Thanks and God Bless! 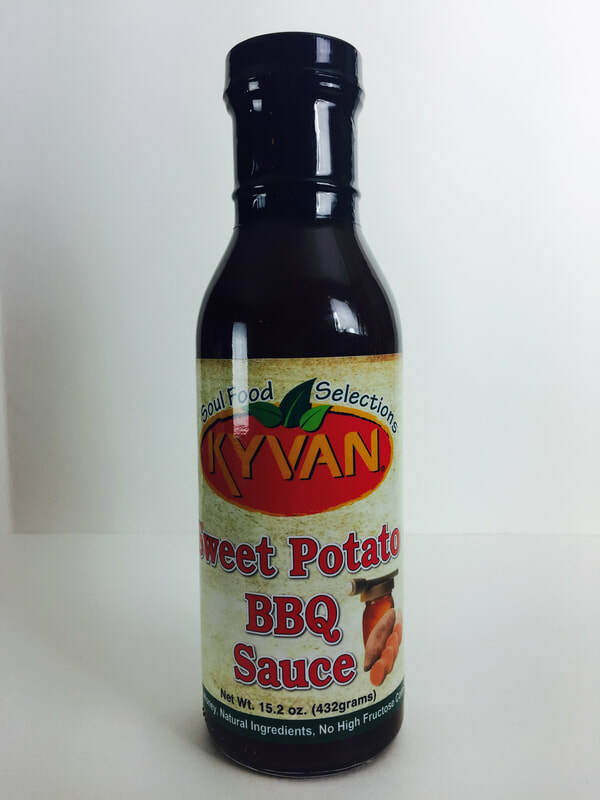 SWEET POTATO BBQ SAUCE from KYVAN.. I would not have believed that sweet potato would taste so delicious as a BBQ sauce. 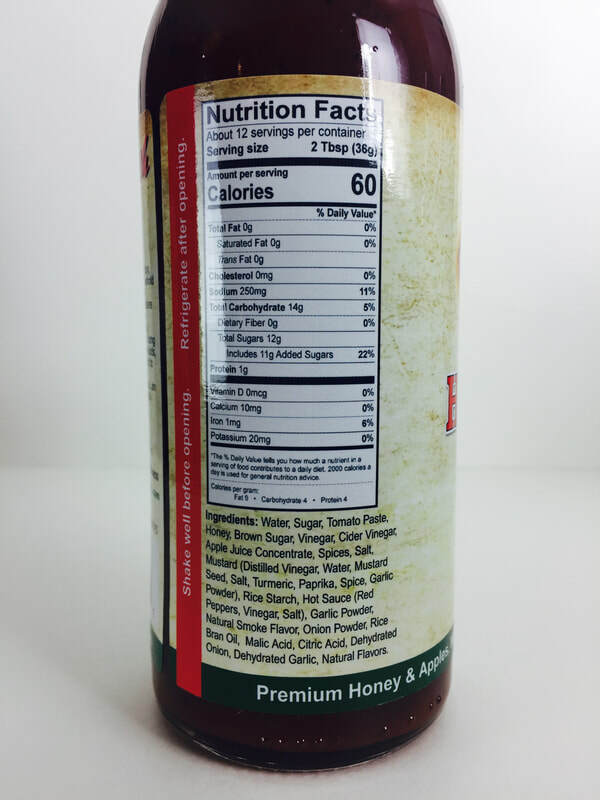 A sweet, smokey, smooth and bold tasting sauce that gets it's flavor from sweet potato juice, honey, vinegar, tomato paste, molasses, garlic, onion and spices. Nothing is over done and the blending of flavors is an amazing addition to ribs, sausage, chicken, over roasted vegetables or just use as a dipping sauce. Your pulled pork sandwiches will be bursting with flavor. You'll fall in love with this sauce! 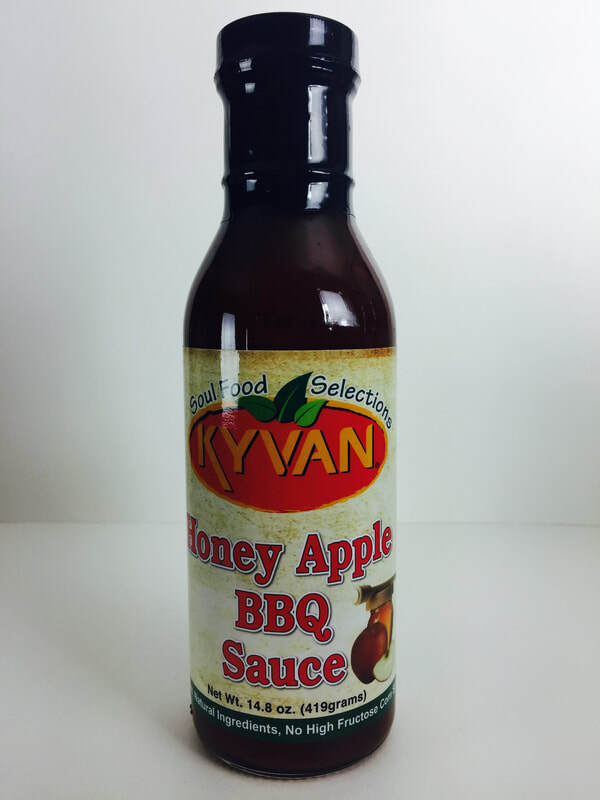 HONEY APPLE BBQ SAUCE from KYVAN.. You definitely get the flavor of apples that lends to the wonderful freshness to this sauce. The honey and sugar gives a nice sweetness that compliments the hint of turmeric and paprika that lingers in the background. 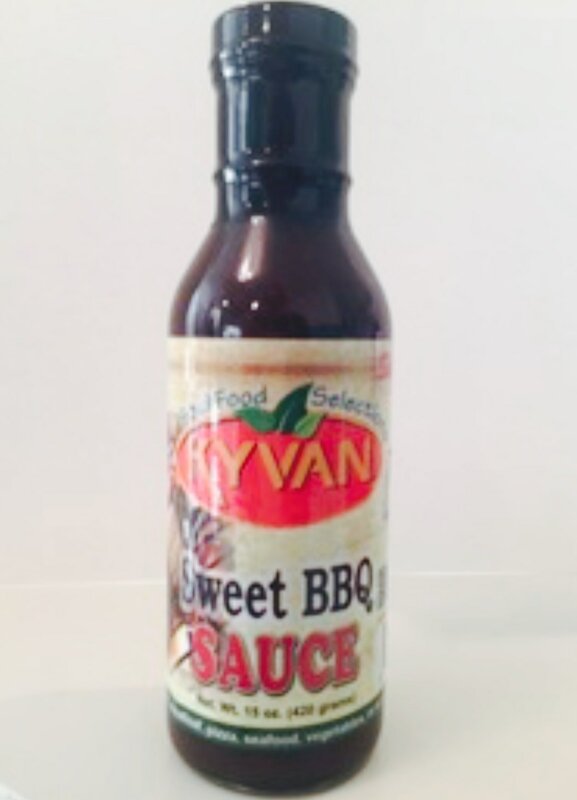 With a bit of mustard, along with the rest if the ingredients added in, brings you another amazing bbq sauce from KYVAN. Great job Reggie! This sauce was killer on ribs, chicken, salmon and shrimp, and we loved how nice it caramelized. 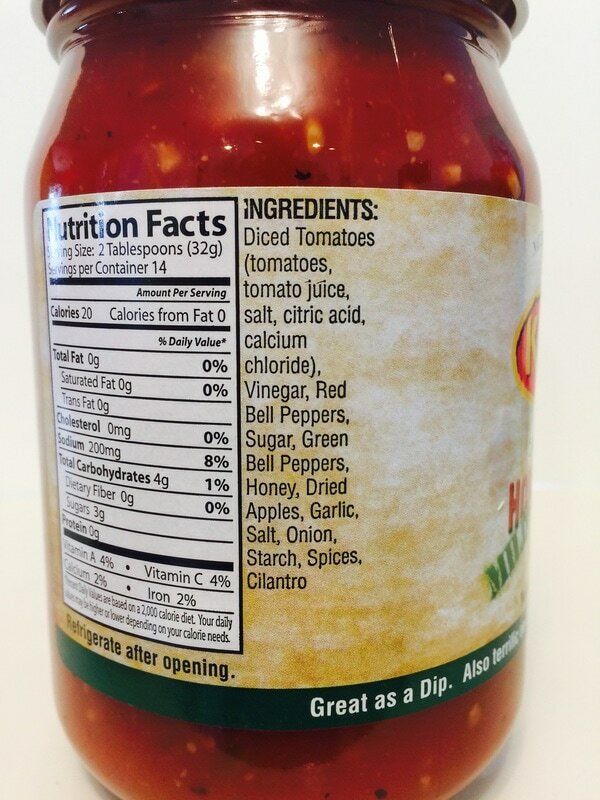 The over all flavor of this sauce could be used on most anything, grilled or not! Fantastic! 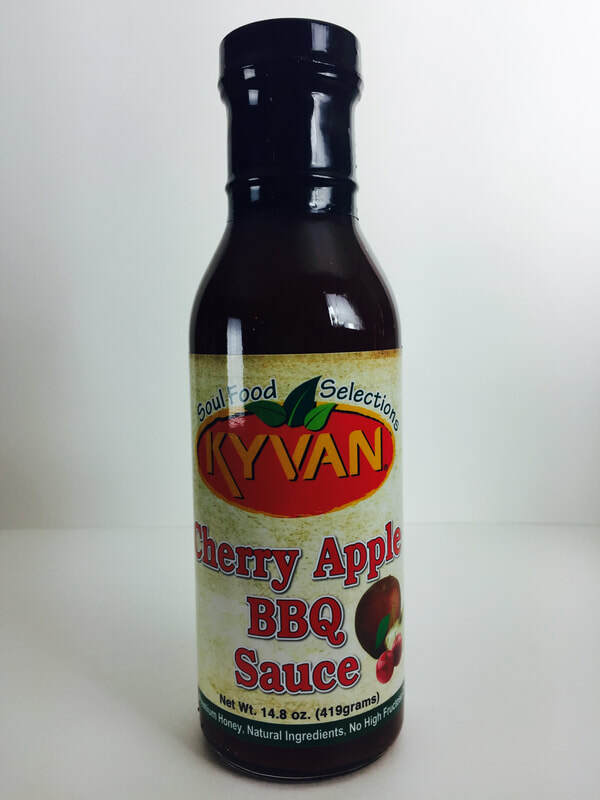 CHERRY APPLE BBQ SAUCE from KYVAN.. ​This sauce is a lot like Kyvan's HONEY APPLE BBQ SAUCE but with the addition of sweet cherries. As soon as you open the bottle you get the aroma of sweet cherries mixed with apples. The only other difference is that there is just a touch of hot sauce (red peppers, vinegar and salt) added to this one to give it just a little heat. After trying all of the Kyvan bbq sauces, it's really hard to find a favorite. Once again this is an amazing bbq sauce for pork, chicken, as a dipping sauce or added to anything you like to grill. 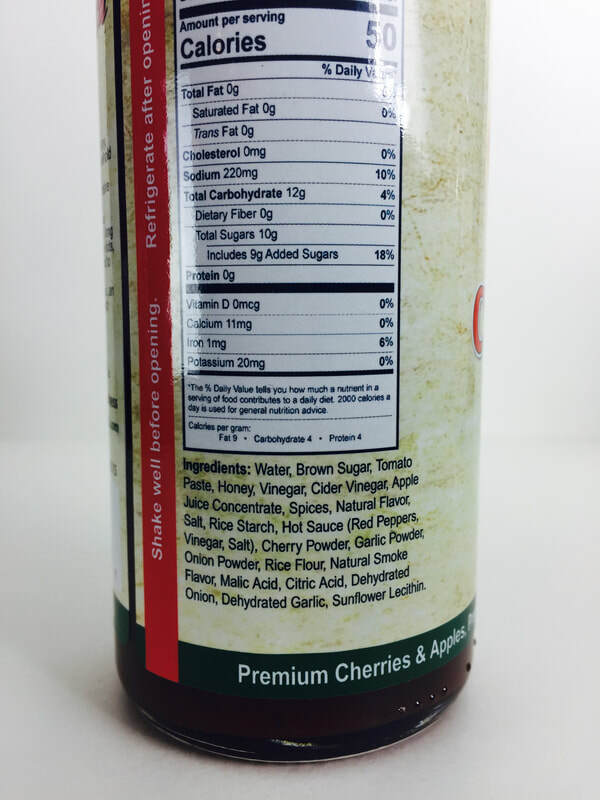 I love the cherry in this sauce, it would be a sin not to try them all! 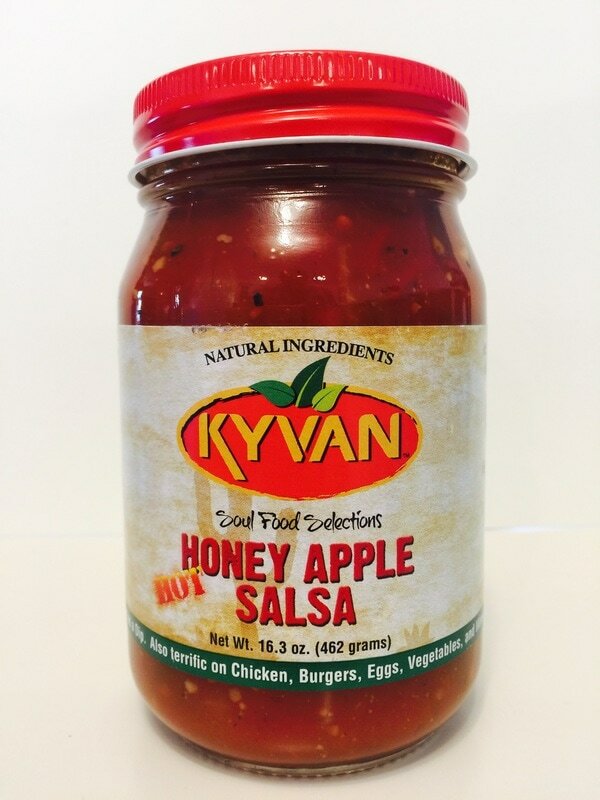 HONEY APPLE SALSA from KYVAN.. 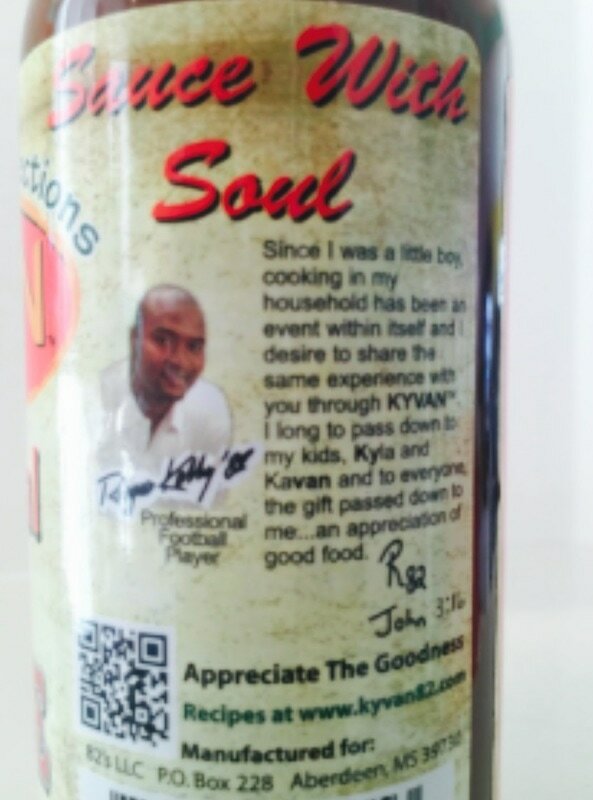 This sauce is made by former Mississippi State tight end, Atlanta Falcons and Cincinnati Bengals, Reggie Kelly. Take everything that you know about a traditional tomato salsa with its tomatoes, red and green bell pepper, onions, garlic and cilantro, then add apples, honey and spices. (I'm getting cumin, black pepper and a little chili pepper flavor) This is an amazing salsa everyone will love! I took both of these salsas to a tasting on 103.9 The Fox, a radio station in Flint, Michigan, and they were raved about by all! Everyone was WOW'd at how different and great it was. These are not only a great dipping salsa for chips, but will make a wonderful marinade for chicken, pork, fish, on burgers, eggs, fish tacos and so much more. 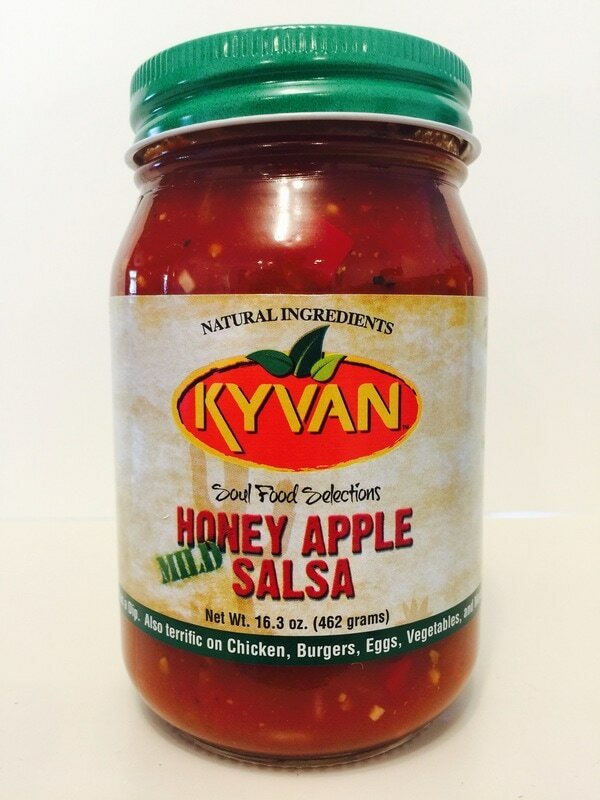 Kyvan's Honey Apple Salsa comes in mild and hot. It's sweet, delicious and addicting!! KYVAN SWEET BBQ SAUCE.. Here is another sauce from Reggie Kelly. This is a southern sweet BBQ sauce thats sticky and very flavorful. 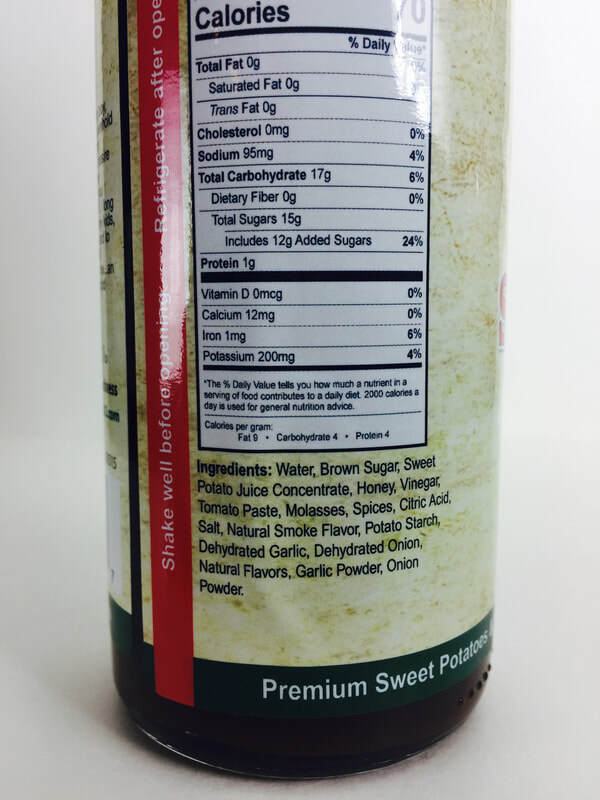 The molasses flavor from the brown sugar is a wonderful balance with the vinegar, garlic, lemon juice and salt. This sauce can be enjoyed by everyone and is great for ribs, chicken, pork or anything else that a rich BBQ flavor would be needed. I would definitely put this on your must have BBQ sauce list! 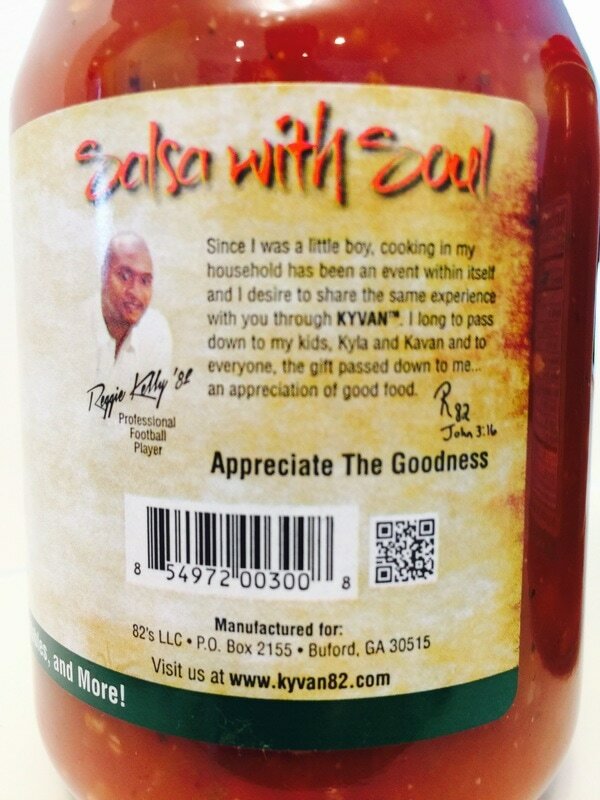 KYVAN ORIGINAL HOT SAUCE...Reggie came up with the name KYVAN from the names of his children KYla and kaVAN. This is a cayenne red pepper sauce with garlic, fructose, vinegar, onion and salt. It has a clean cayenne flavor with a touch of sweet and garlic. Nothing to fancy, just an awesome sauce that would add a smooth cayenne spice to any dish. I used this to make hot wings, on an omelette, pizza and even used as a dipping sauce. Its definitely worth trying this delicious, southern style cayenne sauce!